Galbanum essential oil is an ancient oil that supports the immune, digestive, respiratory, circulatory, and other body systems. It is a spiritual oil that has been used for mediation and to increase awareness. Also supportive of aging skin. Galbanum essential oil is ancient anointing oil and was commonly combined with frankincense as holy incense. Spiritually it was used to enhance meditation by the ancient Egyptians and by Moses and Christ. Holy incense was to be burned 24 hours a day in temple. Because galbanum is high in monoterpenes it is able to reprogram emotions. One of the most interesting things to note about this oil, is the fact that is significantly increases the vibrational frequency of other oils despite the fact that its own frequency is not very high (56)! As I receive new tips and testimonials for Galbanum Essential Oil they will be added to the page, so check back frequently! Buy Galbanum Essential Oil Here! Why is this Information Important? It's always important to know your genus species of your oil. Just the common name on the bottle doesn't really tell you exactly what you’re getting. What is the Origin of the Plant Name? Galbanum comes from the Hebrew word "chelbanah or khelbnah" meaning "fatness". Ferula comes from the Latin word “ferule” which is a rod or stick; gummosa means gummy resin. Did you know that Galbanum was mentioned in the Egyptian papyri and used for medicinal and spiritual purposes in Egypt? Yes, Galbanum was highly regarded and was only used by Egyptian Royals. What are the Plant Properties? Restorative and tonic. What are the Documented Uses and Benefits of Galbanum? Galbanum supports the immune, digestive, respiratory, circulatory, and other body systems. It is also useful as an aid for troubled or mature skin. What is the Aromatic Affect on the Mind? Its earthy aroma is uplifting yet grounding. What is the Spiritual Influence? Galbanum essential oil was holy anointing oil and was highly treasured for spiritual use going back to the time of the Egyptians. Use it for meditation and increasing spiritual awareness through the heart and crown chakras. Because galbanum is high in monoterpenes, it is able to reprogram at a cellular level. It helps us to let go of old ideas and belief systems and embrace new programming; especially those belief systems that are related to our religion or spirituality. Because it is calming and grounding, it gently gives us direction and asks us to let go to the divine and open our hearts. What Chakra is Affected? Heart and crown chakras. Can this Oil be used for Pets? Yes. 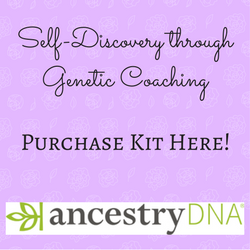 Provides spiritual awareness with grounding. Have your animals smell it directly from the bottle or place a drop or two in your palm, then smell. Or place a drop in your palm and pet head to toe. Note about Animal Use: Certain oils can be very toxic to cats. Citrus and pine oils in particular that are not of therapeutic grade. Please consult your vet if you are not sure about applying any essential oil to your pet. It is approved as a Food Additive (FA) and Flavoring Agent (FL) for internal consumption by the FDA. Although it may be used as a dietary supplement, it is advised not to use it in this manner for children under 6 years of age. If pregnant, nursing, taking medication, or have a medical condition, consult a healthcare practioner prior to use. Did you know that Galbanum is mentioned in the Old Testament of the Bible? Yes, it was mentioned in Exodus where we are given a recipe for holy incense that contained Stacte (myrrh), Frankincense and Onycha. Did you know that the Egyptians used Galbanum for embalming? Yes, but they also used it for skin and cosmetics! 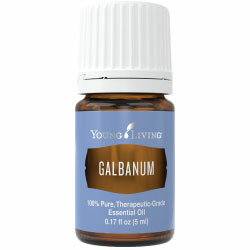 Want to Purchase Therapeutic Galbanum Essential Oil? Go to the Oil Shop! Buy Galbanum Oil Here! Place on the crown chakra to increase spiritual awareness and deep meditation.